Does anyone else feel like time flies faster every year?! This year I was so busy trying to get pictures done for my clients, as well as trying to stay on top of buying gifts and all the other things that life was throwing at me for the month that I totally forgot about getting our own Christmas cards made! All I have to say is thank God I own a camera flash because my bedroom gets hardly any day light and the light that was there disappeared quickly! From our family to yours, wishing you joy and peace this Christmas and the most wonderful New Year in 2018! Please feel free to make your self at home and take a look around. Super Cute DIY Candy Ring Valentines! 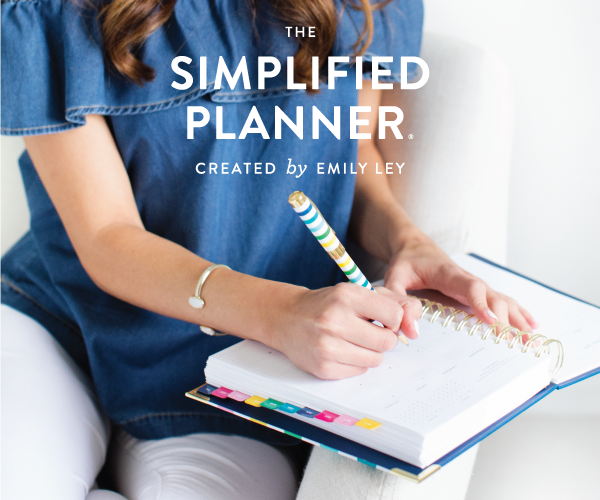 Join me in getting organized with this adorable planner by Emily Ley!